Over the past two months, I have written about brands that have a compelling purpose and an ideal that positively impacts society. Research has shown that brands with strong ideals outperform businesses without a customer focused purpose. Doing the right thing helps the bottom line. Today as my nephew flies half way around the world to serve in the military in Afghanistan, I am grateful to the people in the Army who are motivated by a higher purpose other than their own individual goals. He is willingly putting the welfare of the nation before his goals and safety. He has a higher purpose protecting the freedom of the United States. That is true leadership and loyalty. 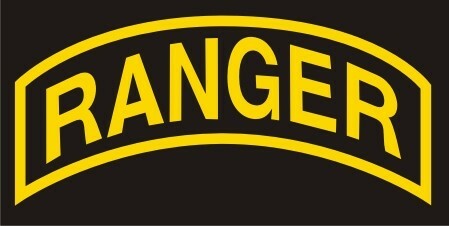 My nephew graduated from US Army Ranger School last year. Ranger Training School is 61 days of grueling physical and mental exertion. This is the ultimate leadership training course. Only about half of the soldiers who start Rangers training school graduate. Successful completion of this course is required to become Ranger qualified and to wear the Ranger Tab. I have also written about the importance of core values to help guide behavior in organizations. The Ranger Creed inspires Rangers to lead the way. Please take a couple of minutes to read the Ranger Creed. Recognizing that I volunteered as a Ranger, fully knowing the hazards of my chosen profession, I will always endeavor to uphold the prestige, honor and high “esprit de corps” of the Rangers. Acknowledging the fact that a Ranger is a more elite soldier who arrives at the cutting edge of battle by land, sea, or air. I accept the fact that as a Ranger my country expects me to move further, faster, and fight harder than any other soldier. Gallantly will I show that I am a specially selected and well-trained soldier. My courtesy to superior officers, neatness of dress and care of equipment shall set the example for others to follow. Energetically will I meet the enemies of my country. I shall defeat them on the field of battle for I am better trained and will fight with all my might. Surrender is not a Ranger word. I will never leave a fallen comrade to fall into the hands of the enemy, and under no circumstances will I ever embarrass my country. Readily I will display the intestinal fortitude required to fight on to the Ranger objective and complete the mission though I be the lone survivor. I know that I often take for granted the safety and freedom that comes with living in the United States. Today I am thankful for the young people like my nephew who willingly serve our country in support of a higher purpose, freedom. Do you know anyone who is in the military serving our country? WOW, this creed is pretty powerful..nothing to simply blink at..